Safety pins, Big Red Car? Really? Big Red Car here on a sunny Texas day. Ahhh, On Earth As It Is In Texas! So, the thin skinned liberal elite have taken to wearing safety pins on their lapels to protest the outcome of the recent election. The Big Red Car had heard but not seen this yet. The Boss returns from an undercover mission to NYC and confirms that people are wearing safety pins on their lapels to indicate their need for a “safe place” from the storm that is President-elect Donald J Trump. These are, of course, the same type of pins that were used to cinch up a baby’s cloth diaper back in the day. Most of y’all don’t know about cloth diapers. Here’s how they used to work. 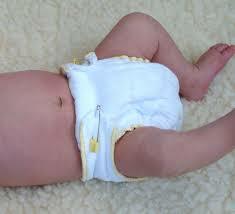 Proper application of safety pin on baby diaper, left side. Manually operated. Here’s where you can get one for yourself. Safety pins! <<<link for y’all. These are jewelry safety pins and they will look lovely on a lapel or a dress. I hope you will opt for the jewelry quality though they are a little more expensive. You need to get over your thin-skinned, whiny, loser, leftist, liberal ways and get back to work. The election is over. The new President is Donald J Trump and you look silly with your diaper fastening safety pins. Sorry, that was insensitive. But, hey, what the Hell do I really know any way? I’m just a Big Red Car and I do not do safety pins or safe places. Grow up. This entry was posted in Election 2016 and tagged safe places, safety pins, Trump. Bookmark the permalink. Someone might have already told you this: Sometimes you really beat around the bush when making a point! Thanks for the link as I’m going to buy a few to give to my family members. Seriously, a safety pin? Grown men are walking around NYC with safety pins on their lapels? Maybe I should start selling some blue ultra-soft cry blankies. One should be in every hurting person’s purse or briefcase. Never know when the tears will come! It’s so scary out there now! Pro tip: Don’t give out any safety pins until AFTER you’ve eaten. Remember these can be used as weapons. Safety pins to protest the election of President Donald J Trump? Yes, indeed. Do not be mean and suggest these are the same pins as used on cloth diapers. Take this stuff seriously.